Success, how do you define it? I think there are two camps. 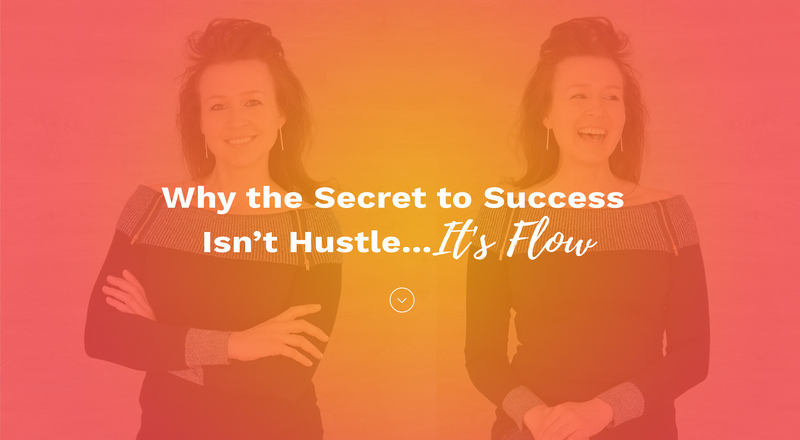 One, you’ve gotta HUSTLE, grind it out, work your tail off, THEN when you’ve reached your “success,” you can do what you want. And two, you approach success with balance, ease, FLOW, and joy. You create a life where you do what you want to elevate your vibe, so you can attract more of what you want. I spent years in the hustle. Thinking the more Type A and perfectionist I was, the more successful and happier I’d be. I was successful, but was I happy? Unless you call chronic anxiety, feeling depressed, overweight, and just waking up to do more work...happy. Life was slipping by and I just kept yearning for more success, thinking that was the answer. I found my answer in the balance. Balance of time and of priorities that put myself more in the forefront to find time for the things I genuinely enjoy. So rather than “have to” do things, I get to. I can have success because I’m living into what I want.